Successfully telling people about Jesus Christ depends a great deal on “situational awareness,” the ability to pay attention to what’s going around you and think creatively as circumstances change. In my own life, I can look back and see moments where a particular success or failure in my life could be tied to my own situational awareness. Back when I worked in Atlanta, one of my worst moments involved a rare peregrine falcon. 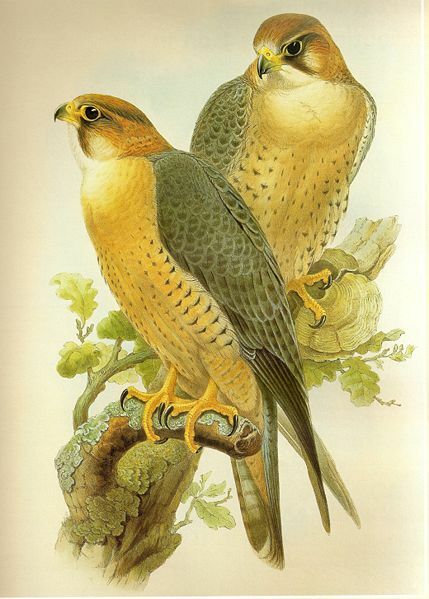 Peregrine falcons are small, swift birds. In nature, they do well living on high cliffs. A subsidiary of the company I was working for, Southern Company, was breeding and releasing these rare birds from the tops of the tall buildings downtown. It was a successful program; the population of peregrine falcons was increasing, and thanks to their presence, the too-abundant pigeons they ate were decreasing. Sometimes, the falcons would get hurt or lost, and recovering them was a priority because of the limited gene pool. One day, while out on my lunch break, I came across an unusual sight—a homeless man nervously sitting with a peregrine falcon on a rolled up newspaper. He was feeding it tiny pieces of hamburger. The bird seemed injured, clearly unable to fly. A small crowd was gathered around looking at it. I decided to walk up to the nearby police station and get an officer to come back and take control of the situation. Of course, by the time we got back, the man had vanished with the bird. Several officers searched the area but could not find him. It was only a few hours later, while digging around in my pocket, that I remembered I had about $30 in it. And that’s when it hit me: “You idiot!” Why didn’t I just give the man some money in exchange for the bird? I could have stood there with the bird until one of the company ornithologists arrived. In this case, poor situational awareness likely equaled dead rare bird. As I studied 1 Corinthians 9:16-23 and the surrounding texts this week, it struck me that Paul is recommending situational awareness to make the spread of the gospel more effective. Know who you’re with, he’s saying; then, adapt to the situation so you have the best chance possible of helping someone accept Jesus Christ as his or her Savior. Are the people you’re trying to reach legalists, wrapped up in how to follow rules to please God? Then you had better learn how to speak the language of the law, Paul is saying. That should open the door to talk about the freedom that Christ gave us at the cross. Would the people you’re trying to reach call themselves free-thinking libertines? Well, you had better learn to tolerate at least in the short term some lifestyles you otherwise might find offensive. It’s the only way you can earn their trust, and eventually the right to share with them the message of salvation. Of course, reaching out to people who have trouble distinguishing sin requires spiritual maturity. You don’t want to slip into sin yourself; the trick is to maintain your own holiness without being holier-than-thou. Situational awareness is particularly important at what we might call the initial point of contact, a moment where there’s an opportunity to establish a relationship that could allow us to tell someone about Christ. Again, I’ve been known to blow such opportunities. In fact, I wonder if I may have blown one last Monday morning. I had stopped at McDonald’s for an Egg McMuffin, and as I was entering, a man who was exiting asked me if there was another McDonald’s nearby. He had no cash, just his debit card, and the card machines at this particular McDonald’s were broken. I gave him directions, sending him toward Colonial Heights. A few minutes later, as I fished a $20 bill out of my pocket, it once again hit me: “You idiot!” Why didn’t I buy that man breakfast? He clearly had time to sit down and eat, and I might have gotten to know him well enough to learn about his relationship with Christ. I don’t know what might have happened, but that’s the point. Now I’ll never know what might have happened. Be aware, Christians. Be very aware, looking for those subtle opportunities to draw people to Christ. You won’t have to feel like an idiot later, and you might make a new friendship, one that lasts for all eternity.